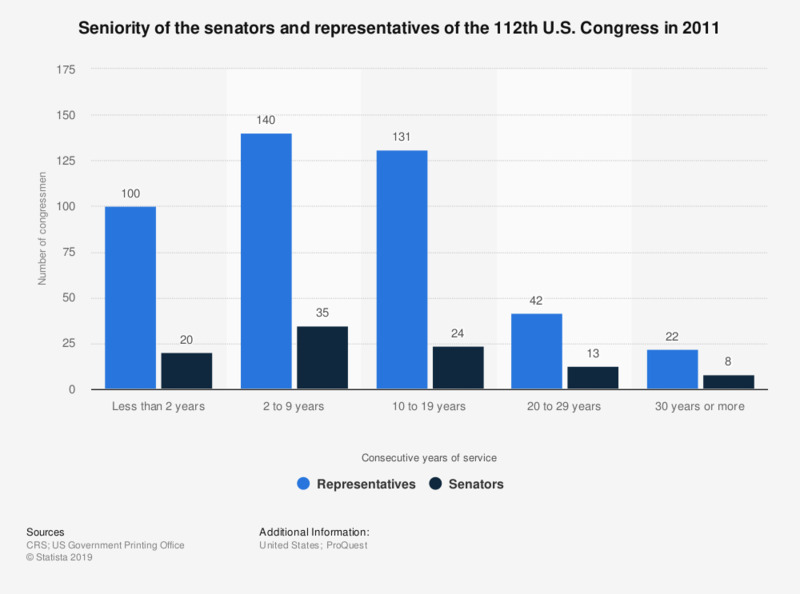 This graph shows the seniority of the senetors and representatives in the 112th U.S. Senate in 2011. 8 senators are serving for consecutive 30 years and more. Represents consecutive years of service. Some members do not provide years of service. The data excludes vacancies in the Senate.